In my local area, there are a couple of literary events coming up. Since July 2014, I have been involved in a local poetry group called the Faxon Poets. We meet once a month on the 3rd Saturday at the Faxon Branch Library in West Hartford, CT and we each read one of our own poems aloud and receive critique from the group. And each year they compile an anthology of poems which features about two poems from every active member. Our annual anthology kickoff party is this Sunday April 12th at 1:30pm, each featured poet will read one poem and after the initial reading there will be an open mic. It’s free and open to any and all, and of course there will be refreshments. You can attend the event at the Faxon Branch Library, 1073 New Britain Ave., West Hartford, CT. Hope to see you there! For other news, the 4th Annual Writer’s Weekend is coming up soon. Through April 17th through the 19th, there will be readings, workshops, and lectures for poetry, nonfiction, fiction, personal essay, and biography. The keynote speaker is Dani Shapiro author of Devotion and Slow Motion. 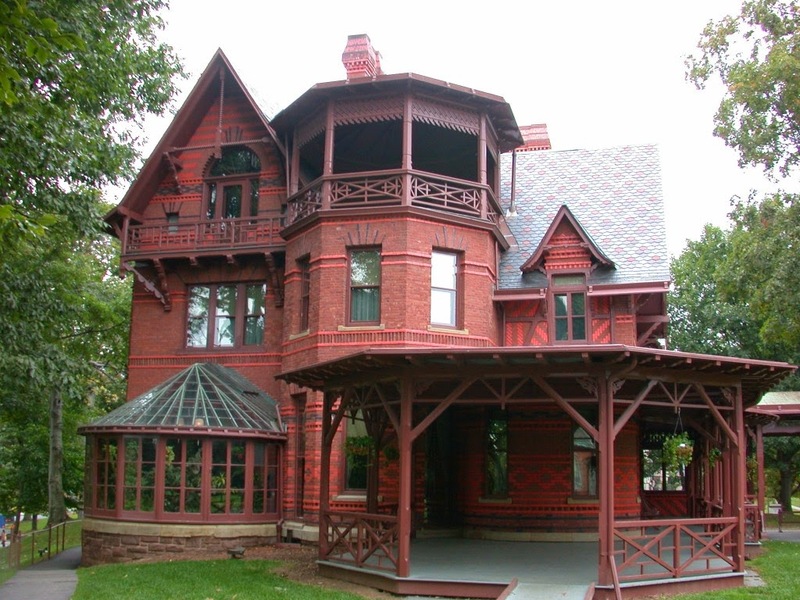 The event is located at the Mark Twain House & Museum in downtown Hartford, CT.
For the whole weekend, the event costs $170, but you can also pay for each individual day. If you live in the area and would like to join me, you can find the event schedule here and you can buy tickets here. I have my tickets already and I’m so excited to meet fellow writers in the area. This will be my first year attending and during that weekend I will post all of the highlights of the event!